My Irish stout (“The Celtic Elk Stout”) has been on tap for a few weeks now, and is definitely ready for a tasting. Strong and ever-so-slightly sweet coffee aroma, with a roasty chocolate note behind it. Clear as near as I can tell, but pitch-black in the glass. When you hold it up to the light, you can glimpse a dark brown color with a red tinge to it, but that’s only if you have the thinnest sliver of beer against strong backlight. The head is dark tan and thin, with a fine texture and good retention. This beer has a very coffee-like quality, in terms of being quite roasty in flavor with a bitter finish (more from the barley than the hops, though, in terms of the bitterness character). The stout has a moderate-low body, with moderate and fine carbonation. It is a pretty dry (but not puckering) beer, as befits the style. 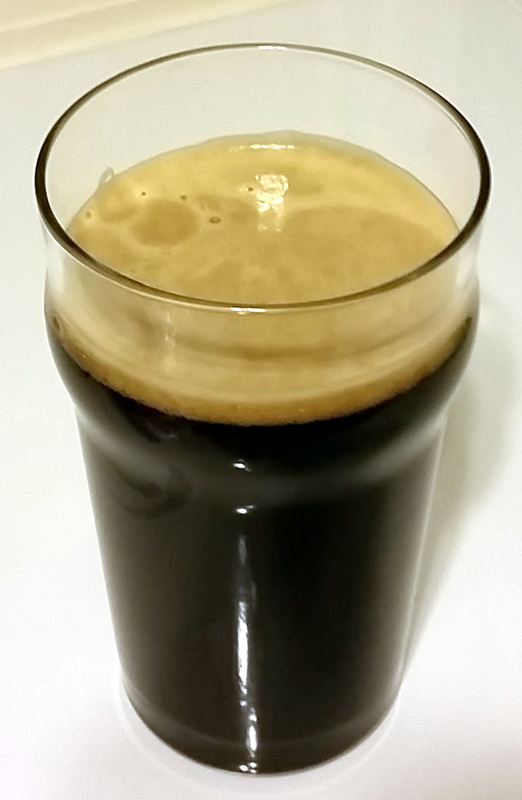 This beer is a darned good Irish stout, and I’d definitely use the recipe again in the future. It hits exactly what I was looking for, in terms of dryness, drinkability, fairly low alcohol content, and intangibles. I like this one! On a whim, I drafted a beer label in honor of the original “Celtic Elk,” Megaloceras. It brings in one of the “Irish elk” skulls along with a Celtic knot. Maybe it will make a good t-shirt someday? 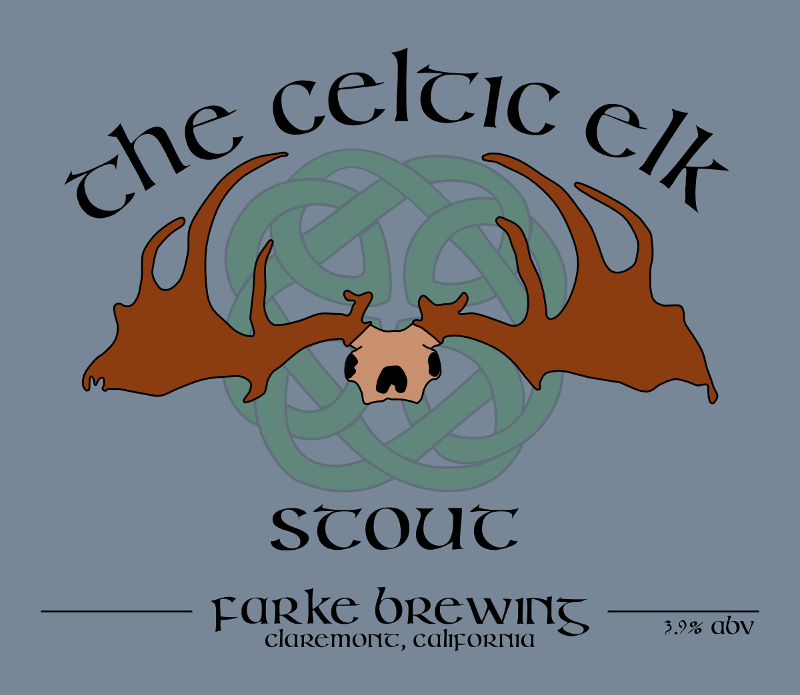 This entry was posted in irish stout, stout and tagged Celtic Elk Stout, CES. Bookmark the permalink.